It's that time of year again! Nintendo have announced a new entry into the Super Smash Bros. series with the incredibly creative title of Nintendo Switch Super Smash Bros. Although we know next to nothing about it, rest assured it will contain a batch of new characters besides just Splatoon's Inklings shown in the reveal. Naturally, with the unveiling of a new Smash comes player wishlists of who they'd like to see in the game. Myself, I could never hope to cram such a list into just ten entries. much less order them, so I'm taking a different approach. Below are ten characters I really hope we do not see in the new Smash, for one reason or another. These characters are ones who would be likely candidates based on things like rumors and my own impressions of Nintendo's development process. Looking like a possessed statue come to life, this shiny reskin has haunted Mario spin-offs since her original reveal to gritted teeth back in 2014. 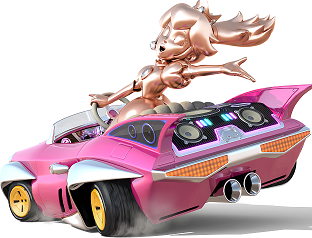 Forget Luigi's death stare, Pink Gold Peach's cold, dead eyes could pierce into the souls of anyone foolish enough to face her, dooming them to become a lifeless gold statue themselves... Sounds like this would be one of her special moves were she to appear in Smash. I guess not being able to look at a character could be an interesting gimmick, or maybe she'd go full on Midas and turn anything she touches into gold. Either way, keep her far away, please. 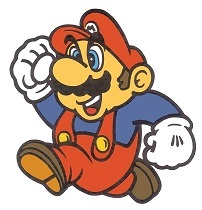 Okay, we get it, Mario is Nintendo's happy-go-lucky mascot. That doesn't mean he has to appear in every single game, and he's already had his turn in four prior Smash games (or five if you count the Wii U and 3DS entries as separate). I think I speak for absolutely everyone when I say that we would all like to see him retire and have his slot taken up by a deserving newbie - which means no one else on this list either. Besides, who is honestly buying a Smash game for Mario, a character usable in practically everything? Don't we get enough of him from the platformers? ...Don't worry! This is the only entry on this list for Mario, I promise. I'm saying this in case you happen to remember my list for the previous game. 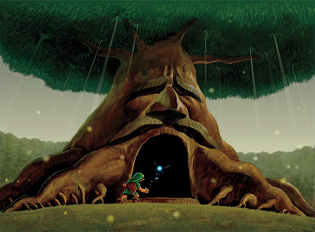 It's safe to say that The Legend of Zelda is an iconic franchise in gaming icon history, and one of its many iconic characters would be the iconic Great Deku Tree who first appeared in the iconic Ocarina of Time and has recurred many times since. However, being an icon in itself shouldn't be enough to get him included into Smash, but I have a bad feeling he's gonna make the cut if they want more Zelda representation. After all, I can't think of anyone else they could choose. Rooted to the ground, this big tree can't even move, so he would probably appear in the middle of the stage and remain there for the entire match. How could other characters knock him off the stage, then? They can't, so he would probably have HP instead; he wouldn't be the first character to have a unique mechanic all to himself. For his moves, he could probably do things like poke sharp roots out of the ground at his enemies, as well as luring a foe into attempting to pull out the Master Sword from its stone, damaging them for being unworthy. If all four players chose Great Deku Tree, it will likely end in a stalemate. This little round robot created by a nameless person serves as the guide in a crossover game nobody thought would work yet somehow did. Or did it? Yes it did. While I'm sure Ubisoft would love to have their most popular character in Smash, the problem is that it doesn't actually do anything except float around and make commentary on the Rabbids and other happenings. Then again, I think the moves learned for outside of battles are attributed to Beep-O, so perhaps it could have its ability to push blocks and pick up statues to drop on the heads of foes. Exciting. I have a feeling that a plunger would also somehow be involved, so I guess it could also take over the role of plumber for the game. With Mario almost guaranteed to be cut from the roster (at least I hope so...), this means Cappy won't be able to just be a move for Mario and will have to become his own character slot. After all, they should include characters from some newer games as opposed to just having a whole bunch of has-beens that everyone either doesn't remember or is too young to have played those old dusty games. What better newer title than the best-sellingest one on the Switch, which is destined to outsell every previous game that has ever existed. As Cappy doesn't have enough going for him to create a full moveset, he would probably borrow some of the capture abilities from Super Mario Odyssey enemies. He could use something like the Uproot to jump, the Hammer Bro for projectiles, and of course, even the T-rex so that he could eat opponents, resulting in an instant KO. He could also have the ability to somehow throw himself at another player to "capture" them, and then take over controlling them for a bit, though if the character has some sort of headgear he'd have to knock it off first. If you're thinking this character sounds too powerful, pfft, that hasn't ever stopped them before. I cannot recall if this thing has a name, but it's a little cube sort of thing with a face and some blocks missing, which acted as the tutor for Picross 3D. Nintendo must also have some blocks missing from their own heads if they honestly think this would be a good character for Smash. As it doesn't seem to have any limbs, it would have to float around the stage, which would probably make it a lightweight character. I'm not really sure what sort of moves it could have since it doesn't actually do anything in Picross 3D, but I s'pose it could clutter the screen with tutorial text to use as a distraction. Perhaps its moves could work similar to Picross and place a grid over opponents, then try to chip away at each space, KOing the character once all squares are removed. This new Smash game is likely going to be pandering to patriotic Americans since the US is unquestionably the largest market for video games. What better way to do that than to include one of the country's many fine and upstanding presidents? There are a couple of hurdles to this though, which are that Smash can contain only game characters and that they would have to pay to use the likeness of a real person. As a launch title and pack-in for Nintendo's greatest and most memorablest console ever, pretty much everyone is familiar with Nintendo Land's affable host, Monita. Unfortunately, this means that the thing will likely be in Smash, seeing as how it's their most popular character in recent history. It's also a representative for a crossover game, so it would fit right at home in a different sort of crossover. Perhaps someday all these crossover games will be crossed over into the same crossover. Fingers crossed. Luckily, it does have one hand, so it could at least have a few basic moves such as a punch. Its grapple would probably be kind of weak, though. Using its monitor, it could show a very bright image, causing more and more strain on the opponent's eyes the closer Monita gets. Incorporating the idea that Nintendo Land was a mixture of franchises, mayhap it could have a move pulled from each one of them, and its use would be determined by whichever franchise is the stage being played, or the opponent(s). Its Final Smash would likely be displaying the sales numbers for Wii U on its screen, which causes the foe to become too depressed to continue the fight. It stalks in the night. It doesn't burn up during day. It is silent, up until it is too late... of course it is the Creeper, unarguably the most dangerous enemy in the game. Seriously, quit arguing with me. Anyone who has played Minecraft longer than one in-game day probably has their own story to tell about this jerk, either disrupting their builds or destroying valuable items from its violent explosions caused by an inability to handle its anthropophobia. Unfortunately, this is all it can do, so in Smash it would likely have just the one move. While anyone caught in this massive blast would automatically suffer a KO, the Creeper, itself, would also be KO'd, never to return. As such, the best outcome this character could hope for would be a draw. The most popular sequels ever as part of everyone's most favoritest Pokémon generation of all time, Black 2 and White 2 contained a side mini-game of sorts which allowed the player's Pokémon to star in various types of short movies. As nearly all of the movies were on a green screen sort of stage and all effects and backdrops were added afterwards in editing, the opponents in the movies were nothing but square props that the player Pokémon would attack, with the appropriate creature being added in later on screen. As Smash has yet to add any reps from Generation V, Prop C1 seems like the most logical choice, being part of the most memorable section in the game. Without getting into the large amounts of Pokémon characters already in Smash, this thing would be a bad idea in a tortilla even if it were the one and only Pokémon representative. As nothing but a square, it would have trouble moving around, though it did have varying stats depending on which Mon it was going to represent in the finished movie. That means it would probably be given a random moveset in each match, with not even the player knowing what it could do without trying it first. The only way to view the prop's true form would be to watch the replay of the match, where the actual Mon would be edited into the video. And there you have it, the ten worst choices for the new Smash, I think we can all agree. Which probably means I didn't even need to list them, since we all already know. I guess this is for that slim chance that someone didn't know. There are a number of other choices I could probably add as dishonorable mentions, but that would likely just end up as a huge list of Fire Emblem characters. In case anyone is still wondering, this list is totally facetious and should not be taken seriously in any capacity. I will now be unhappy with any Smash Bros that doesn't have a playable Great Deku Tree. Picking the Great Deku Tree would result in the stage being set to the inside of the tree, where it would attack with roots, falling sap, internal tree parasites, and the final smash would be Gohma coming down to beat the breaks off of everyone. Oh, and the only way off the stage is either straight up, or out the tree's mouth on the sides, which the player can shift to the left or right side and open and close at will. Can we just go ahead and admit that pretty much everyone from the first game has outlived their welcome? Mario, Link, Pikachu, Samus, they can all go. Let's get some newcomers, like Cucco, Goomba, Weedle, maybe even a Kremling in there. We need fresh blood, and all of these sad, tired "heroes" need to go. My pick is Goku. No Goku! Also, get Sonic out of there. Also, I'd take like half this list over Cloud. @Cryojin No joke, but that actually sounds like an interesting stage idea. @Ponderus I like the way you think. It's 2018, why are these characters still in any game, really? @TriforceBun You think it's ridiculous that I don't want Deku Tree nor Prop C1? To each their own I s'pose, I respect that people may think differently and I didn't mean to step on anyone's toes. At least you agree with me that Cappy, Monita, and especially Mario are decent picks to exclude. That was a fun read. Good job! Son of a bean, they just had to include Mario didn't they? NO BUY! He has cappy as well. They just aren't listening to you. @pokepal148 That's fine, because Cappy isn't his own playable character. Though I'd rather he be featured on Red Luigi than Mario. I'd rather have Mario in the Luigi costume from Odyssey. There's only enough room for 1 lasagna enthusiast. Did they? Last I heard, Ridley skewered him through the face. Heeeee dead. The Mario you play as in Smash is now Baby Mario all grown up, looking for revenge. That's why he's scowling in so many screenshots. But isn't Mario already just Baby Mario all grown up? Not in the games that have both of them. Those are two separate timeline Marios, just like what Zelda does. Try to keep up with the Mario deep lore, man.